Paradise Hills Little League fields was among the projects a lobbying team listed in its capital outlay achievements. Lobbyists Marla Shoats and Dan Weaks included a helpful history when seeking to renew their contract with Bernalillo County a couple of years ago: Since 1999, with their help, Shoats and Weaks wrote in a proposal, New Mexico’s most populous county had received more than $1.5 billion for a range of projects — from road improvements and construction to Little League fields and swimming pools. The couple’s pitch worked and Bernalillo County renewed, paying the duo $80,000 a year in 2014 and 2015. New Mexico cities, counties, colleges and other public entities spent more than $4.8 million to lobby state officials in 2014 and 2015. And scoring capital outlay for clients came up repeatedly in contracts public entities signed with lobbyists, a review by New Mexico In Depth found. Twenty-two contracts with 68 government bodies specifically mention capital outlay as part of lobbyists’ work at the Roundhouse, where they seek to influence state lawmakers and public officials on their clients’ behalf. With lawmakers allowed to dole out a significant portion of infrastructure funding to projects they earmark, having a lobbyists can be helpful. Capital outlay is the reason 18 of 105 municipalities hire contract lobbyists, said William Fulginiti, executive director of the New Mexico Municipal League. His organization lobbies on a wider range of issues on behalf of cities and towns. Even charter schools are looking for capital outlay money. Robert F. Kennedy Charter School in Albuquerque responded on Dec. 14 to repeated emails and phone calls asking for copies of lobbyists contract. The school spent $12,000 on two lobbyists, including Griffith, in 2015. That spending appears to be paying off. The school received $285,000 in 2013 for two projects and $235,000 in 2014 for four projects. The money helped pay for information technology, a media center, an auto body and paint shop and more. This year, the school received $130,000 for equipment. Not all capital outlay efforts are successful, of course. 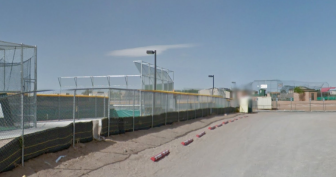 During the 2014 session, Tierra Encantada Charter School in Santa Fe paid Robert Apodaca, through his Motiva Corp., $10,000 to try to get a gym and wellness center in the capital outlay bill. Although several lawmakers included it in their “wish list” bills, the project didn’t make the final capital outlay bill. It’s impossible to know how successful public agency lobbyists are at getting capital outlay projects funded. Unlike Colorado and other states, New Mexico law doesn’t require lobbyists or their employers to specify what they’re lobbying on. And it isn’t possible to know what corporations, business associations or other private-sector groups lobby for in capital projects or what they pay their lobbyists because New Mexico doesn’t require that information. NMID used public records laws to get lobbying contracts from the public entities. But nonprofit groups such as museums often receive infrastructure funding, and they aren’t required to disclose such information. Colleges and universities, which spent the most on lobbyists over 2014 and 2015, don’t often rely on earmarking by individual lawmakers for infrastructure money, but rather on the prioritization process by state higher education officials, said New Mexico State University President Garrey Carruthers. Lobbyists help monitor the process that gets their big-ticket items funded, he said. 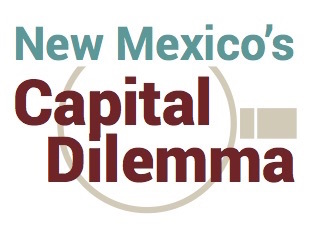 It makes sense for public bodies to lobby for capital outlay money because of how the system is structured, said Fred Nathan, executive director of Think New Mexico. That independent think tank is asking lawmakers to reform infrastructure funding and take lawmaker earmarks out of the system. “It is different value equation for local governments and universities because the process for putting together the annual Christmas Tree Bill is pretty much a political free for all, where having a good lobbyist can make a big difference in what your entity or jurisdiction receives,” Nathan wrote NMID in an email. Steinborn, however, suggested that local governments could simply go directly to their state lawmakers.